The freezing temperatures that have plagued much of the eastern U.S. haven't spared New York City. The waterways around the island of Manhattan are filled with ice. 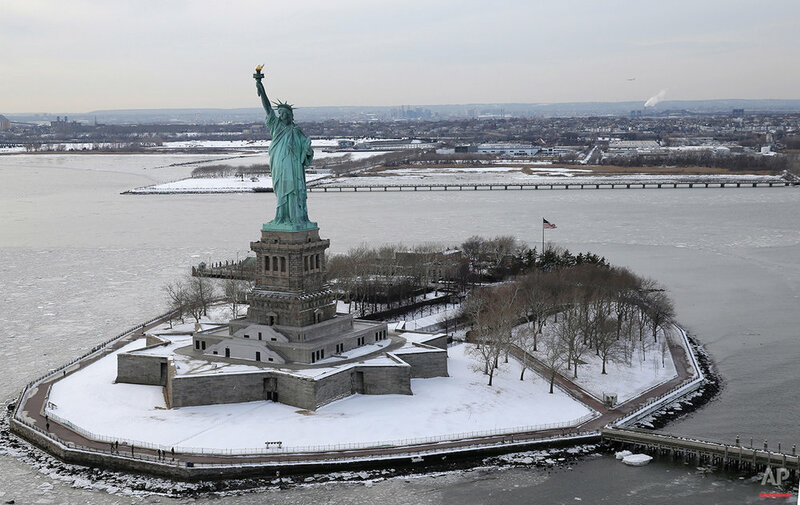 On Tuesday, Feb. 24, 2015, with temperatures in the mid-teens, vessels on the Hudson and East rivers maneuvered through floating ice sheets, and the Stature of Liberty stood in a frozen harbor, raising her famous lamp. Text from AP news story, AP PHOTOS: Manhattan ringed by ice.